CM250 Orbital Shaker - Raya Scientific Co. 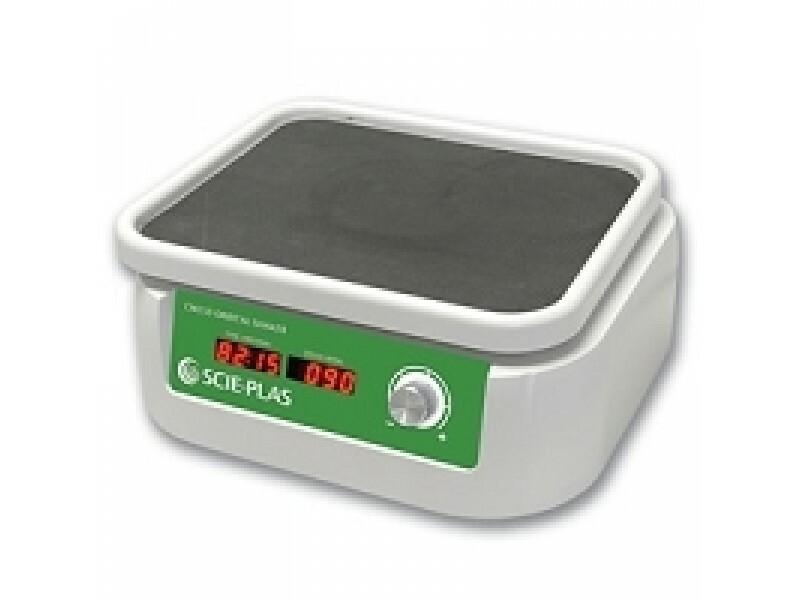 The Scie-Plas CM250 Mini Orbital Shaker is a compact and quiet instrument; the speed can be adjusted from 50 to 250 rpm, and it has an orbit of 20mm. The CM250 comes with a 23 x 27 cm flat top platform with skid resistant rubber mat. The Digital LED display and easy programming sequence make setting speed and time simple. There are three optional platforms available: a twelve place 100-150 ml beaker clamping platform, a six place 250-300 ml beaker clamping platform and a universal platform with two adjustable bar clamps.